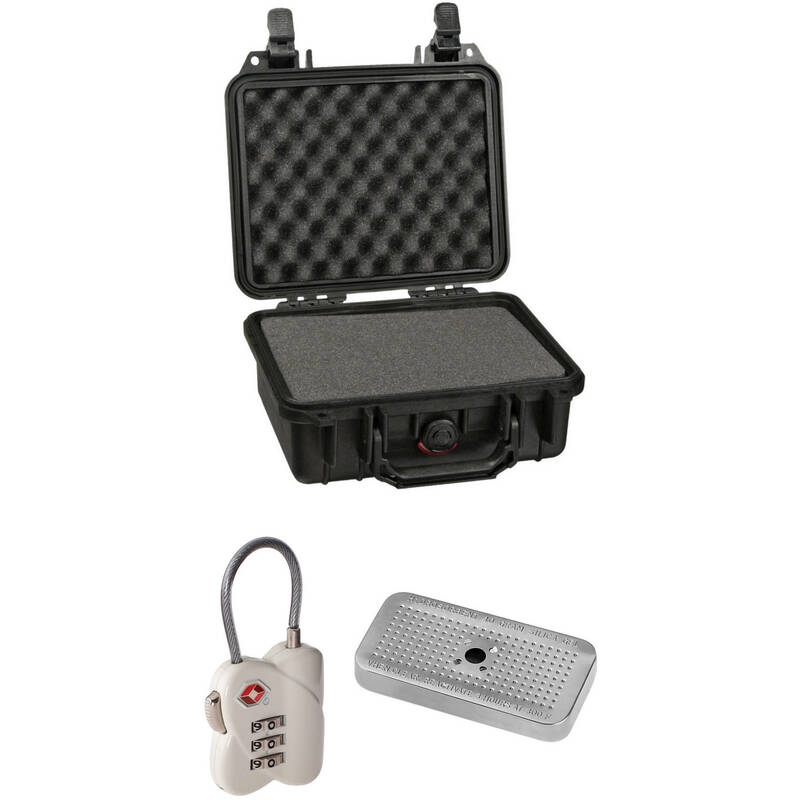 Store, protect, and transport your valuable gear with this B&H Kit that combines a black Pelican 1200 Case with Foam Set, a TSA Lock, and Desiccant Gel. The watertight, dustproof case features ultra-high impact copolymer construction, an automatic-pressure equalization valve, easy-open double-throw latches, an oversized folding handle, and more. The padlock hasps accept the included Ruggard 3-Dial TSA Combination Lock. Use the Ruggard Desiccant Silica Gel Pack to help protect stored gear from moisture. This gel pack is housed in a reusable metal tin. Keep your belongings safe with the 3-Dial TSA Combination Lock from Ruggard while complying with TSA security guidelines. The lock features a three digit user-set combination as well as a keyhole on the bottom for TSA access. The lock's body is made from zinc alloy, and features a non-corroding stainless steel clasp and vinyl-coated braided stainless steel cable. This 40 g Desiccant Silica Gel Pack from Ruggard is used to absorb moisture inside underwater camera and electronics housings and bags, in order to keep them as dry as possible to prevent rust, corrosion and other damage, as well as mildew, mold and foul odors. It protects 3 cubic ft of enclosed space. The dehumidifier gel is orange and turns white when it absorbs moisture. It is packaged in a metal tin that can be heated in an oven at 300°F for at least 3 hr, or until the color returns to the silica beads, to refresh the gel for reuse. The gel will turn orange again when it is ready. Box Dimensions (LxWxH) 11.3 x 10.0 x 5.2"
Box Dimensions (LxWxH) 4.173 x 2.284 x 0.63"
Box Dimensions (LxWxH) 8.5 x 6.9 x 1.5"